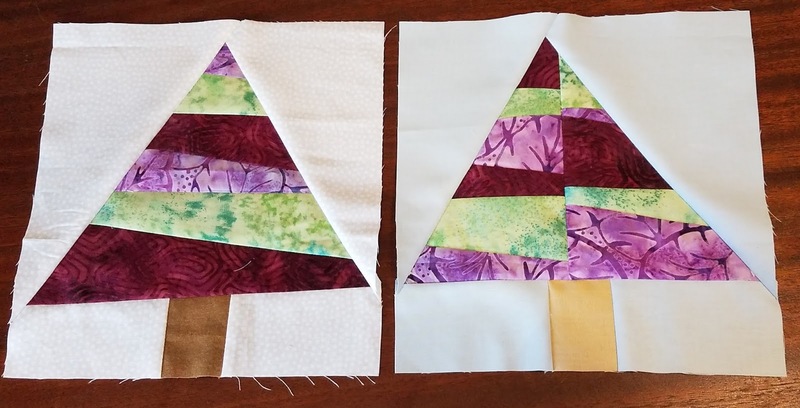 For this month's One Monthly Goal (OMG) with Patty of Elm Street Quilts, I chose to layer three quilt tops for quilting. 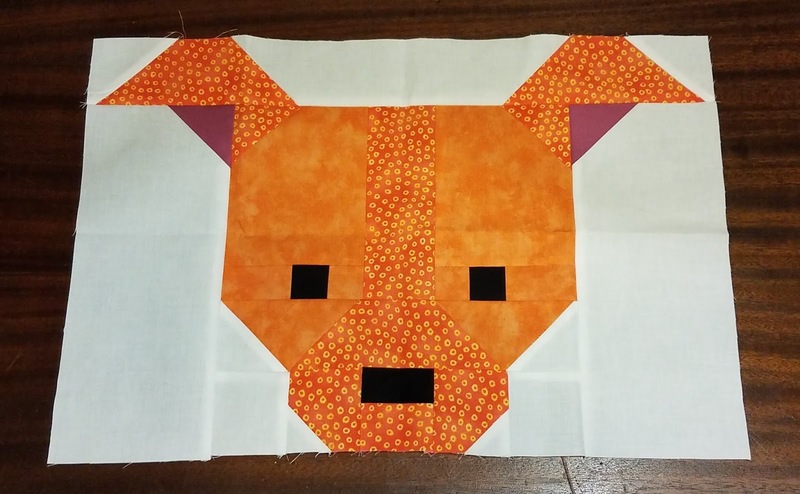 One of the three needed to be pieced first. I'm pleased to say I got the third top pieced, all three layered, AND two of the three quilted this month! No actual finishes, but once a quilt is at the hand-binding stage, I tend to get them done fairly quickly. All of these will be Project Linus donations once they are done. 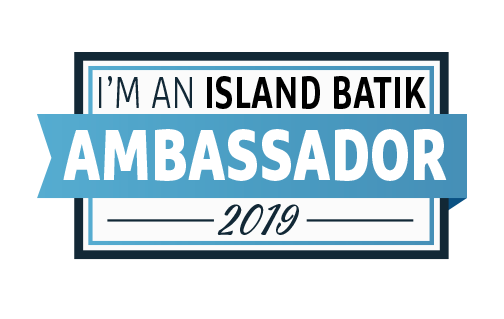 All three are pink batiks by Island Batiks. I have a plan for them in the near future! 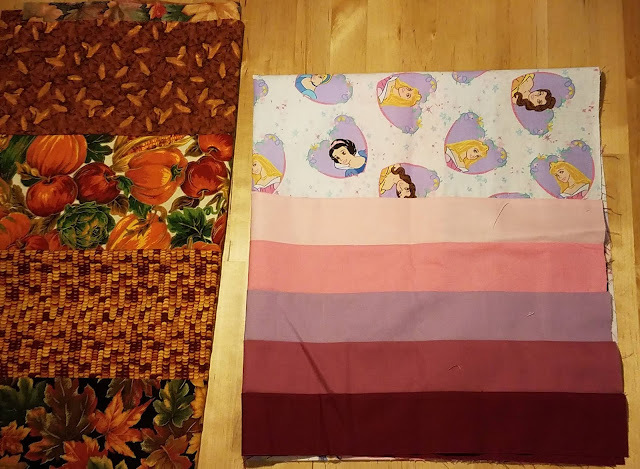 I always have a few hand sewing projects started for when I travel or can't use my machine. The purpose of those is to have them to work on, so I don't worry about finishing them on a timeline. Once the handwork is completed, they go on the list to be completed. Anything started in December 2019 doesn't count against the "must finish in 2019" rule. This is because due to my work schedule, I have significant time off in December. I'm hoping I can do as well in 2019 as I did in 2018! 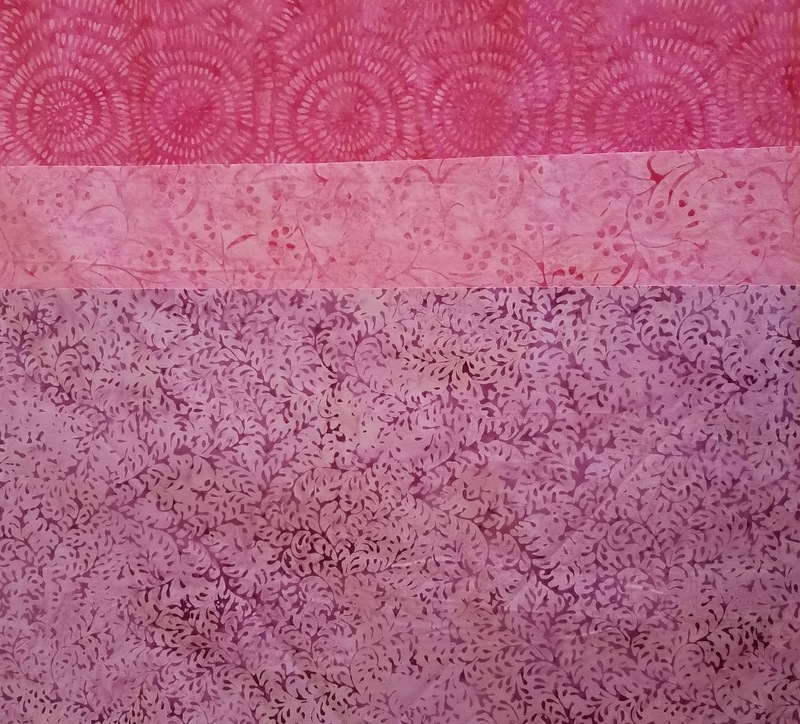 For this year's Rainbow Scrap Challenge, I'm making Smitten Kitten by Lorna of Sew Fresh Quilts. I have a fun litter of red kitties all ready for January! Yes, I know one kitty is actually white. But she has red dots and hearts and I don't think there is a white/light neutral month this year, so I'm counting her as red! 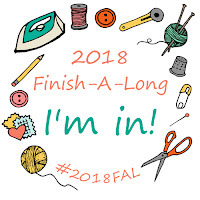 Another year, another Finish Along! I discovered this motivational linky part in January 2015 and have been participating ever since. I've got a fairly long list. I always list more than I can finish because I never know what I'll be in the mood to work on. I am gifting my 2018 Rainbow Elephant quilt to friends' new baby and that baby has a big sister. I want to make something for the new big sister to add to the package. She really likes aquarium fish, so I'm making a fish pillow. My good friend Devin had his second child last year. I'm making an I Spy quilt to match big sister's. 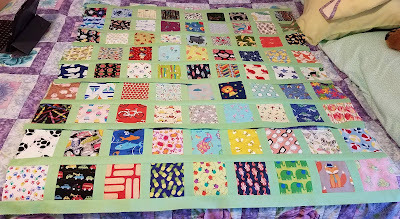 This is finished except for the last of the binding--I'm waiting for baby's name for the label that will get sewn into the binding. The baby from #6 also has a big sister. I'm still waiting to hear from her parents what Miren, age 3, is particularly fond of, so this one is undefined so far. It will likely be either a pillowcase or a small pillow. My dad, a big tea drinker, has used the same tea cozy for my entire life. It's pretty shabby. He asked me to make him a new one. I'm doing embroidery on this before sewing it together. 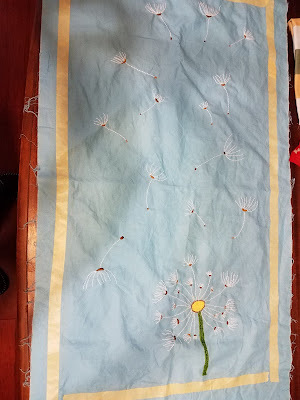 This was my hand-sewing project on trips in 2017 & 2018 and I finished the embroidery! Now I just need to turn it into a finished project. I made a Dog Gone Cute block for one of the women in a quilting bee, and I liked the block so much I made a second for me. I am slowly making my way through all of Lorna's amazing dog blocks. 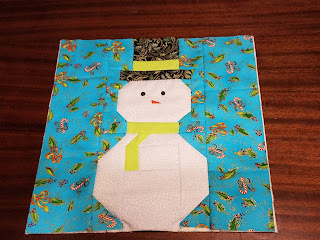 I liked the Snowman block by Sherry of Powered by Quilting so much that I'm doing a whole quilt of snowmen! I've made 5 blocks and I want to make 4 more and then have fun with different embellishments. 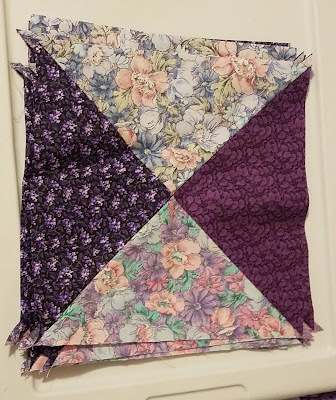 I've been using 2 1/2" squares as leaders and enders and will put them together using the Postage Plus pattern from the book by Cheryl & Paige. These were my bee blocks from April 2018. Most of them were turned into a door decoration, but I still have a few blocks left to turn into a donation quilt. 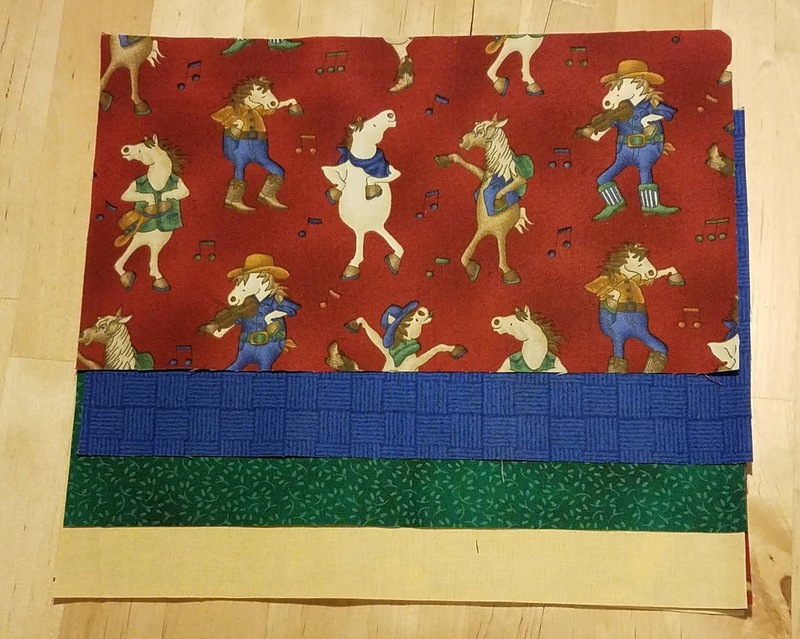 This was a fabric donated to my Project Linus chapter that I really liked. I have the blue print cut into 10" squares, plus 2 other fabrics and a plan. This is a fat quarter quilt that is mostly cut and partially sewn. I have a coworker expecting a baby boy this spring. Fabrics are purchased and pattern has been chosen. 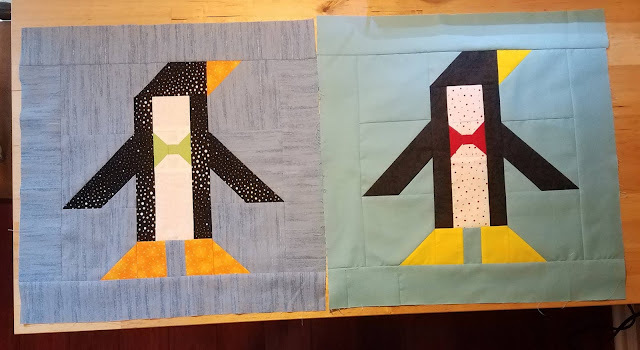 I'm queen this month in Stash Bee and I asked for penguin blocks. I'm so excited to create this Waddle of Penguins! In Bee Inspired, I'm collecting blocks for a charity quilt. I picked this simple and fun sailboat block. Ahoy, Matey! 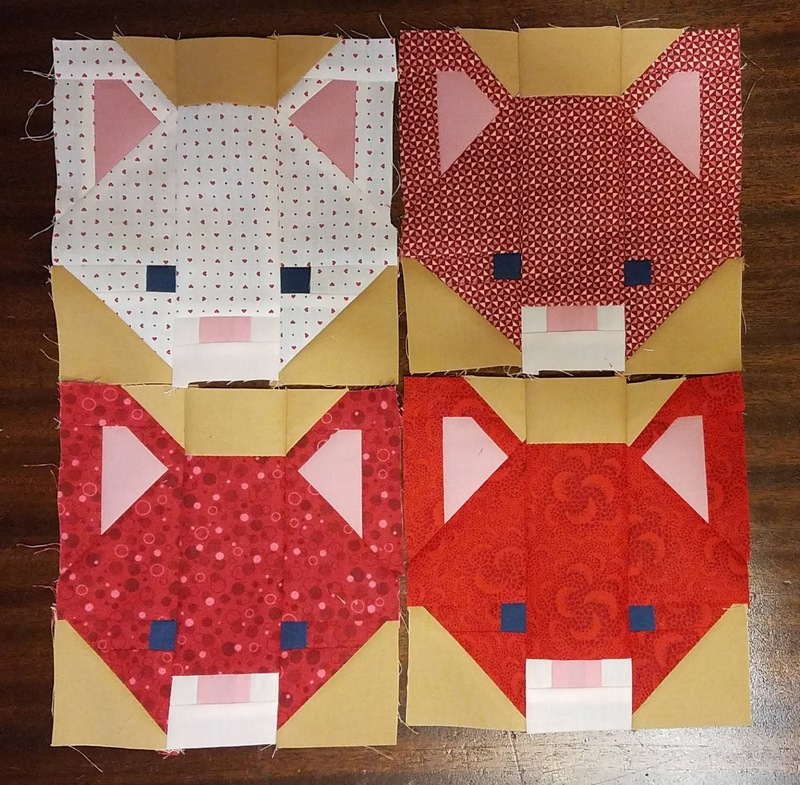 These are 3 tops already assembled that are currently waiting for quilting. So there's my crazy long list! I know I won't get all of these done, and I'm okay with that. 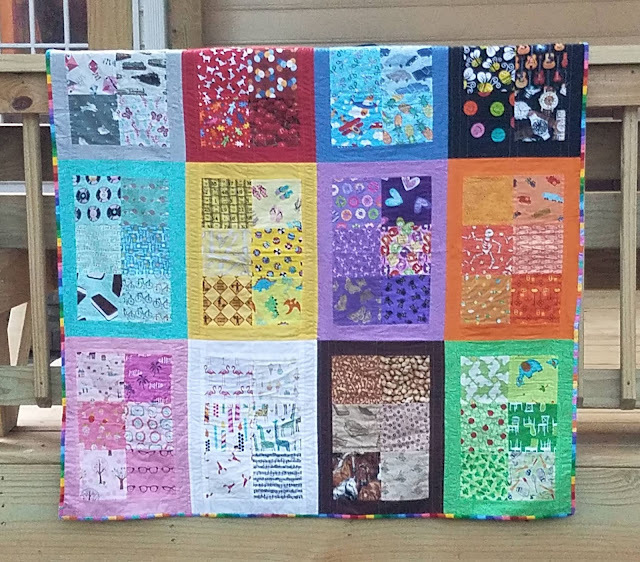 Have you heard about the Carolina Hurricane Quilt Project, headed by Carole of From My Carolina Home? 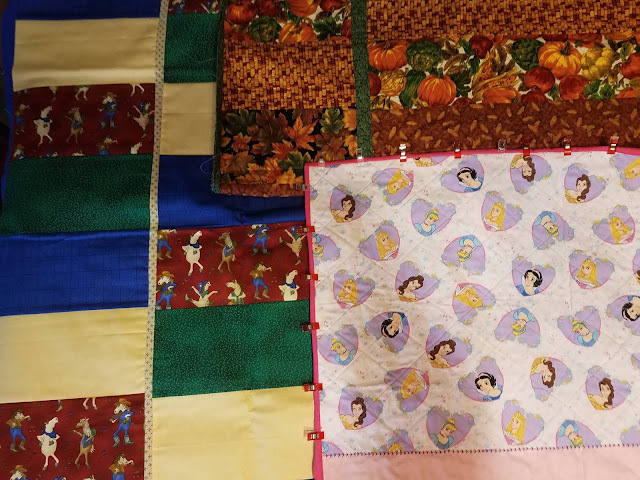 Carole is organizing a quilt drive for those impacted by Hurricane Florence. Donations are needed of bed-sized quilts. She is also matching quilt tops with long-armers willing to quilt tops. 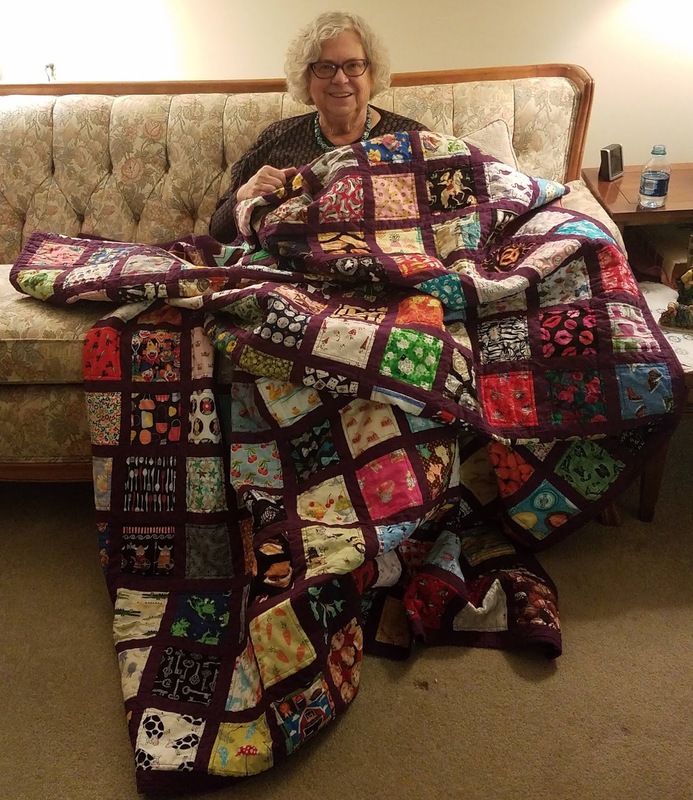 She has arranged drop-off locations at five quilt shops all over North Carolina and I am pleased to be one of her "runners" who will pick up donated quilts and transport them to Carole for donation through Catholic Charities. 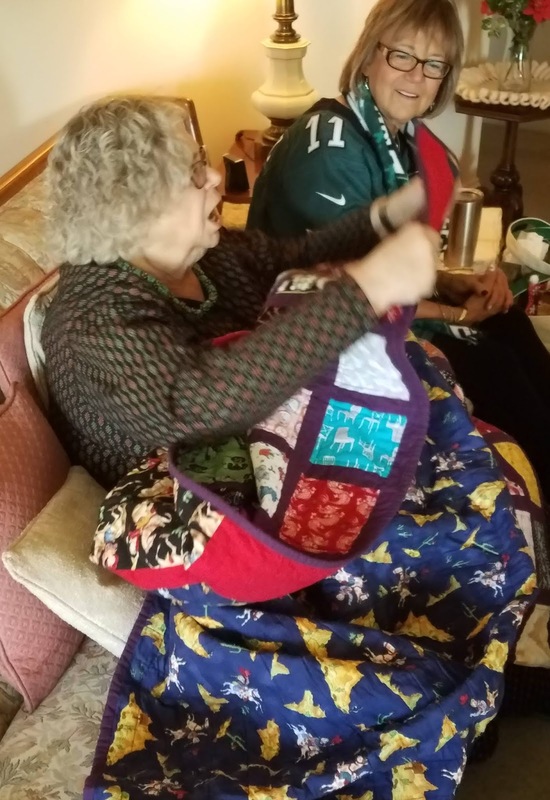 If you have a completed quilt or top you are interested in donating to this cause, you can get all the details here. Carole is also looking for long-armers who are willing to be matched with completed tops. I am donating a quilt I completed during the storm, my Color Block I Spy. It's not as large as the ideal size but I am hoping it can bring comfort to someone. I have one finish from 2018 that I haven't shared yet. I finished it on New Year's Eve (getting it in at the last minute!) but didn't gift it until January 6th. 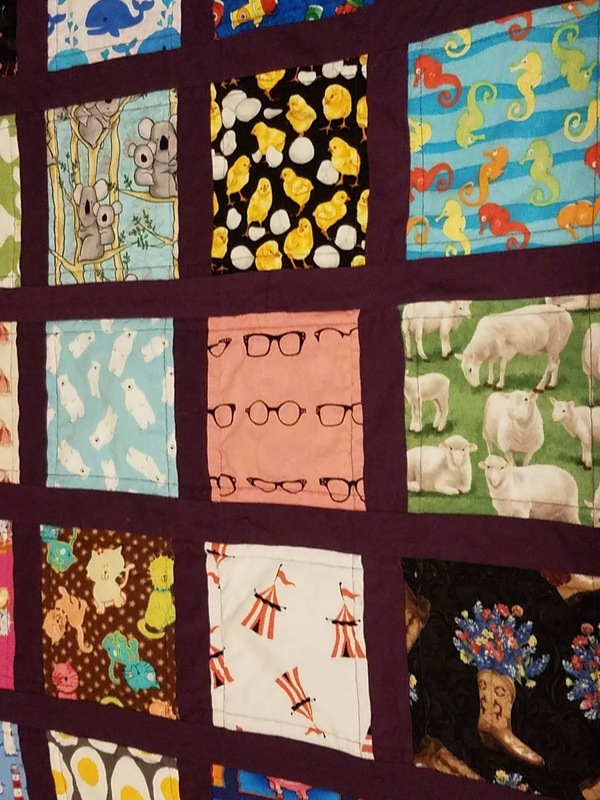 While I was pregnant, I made a twin bed-sized I Spy quilt for my future child. 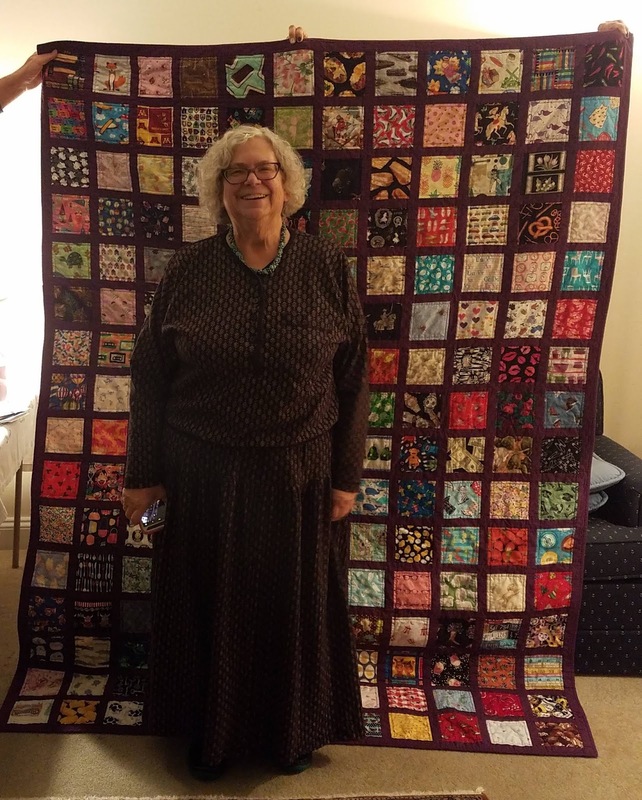 (That quilt predates the blog, but a photo makes an appearance here.) 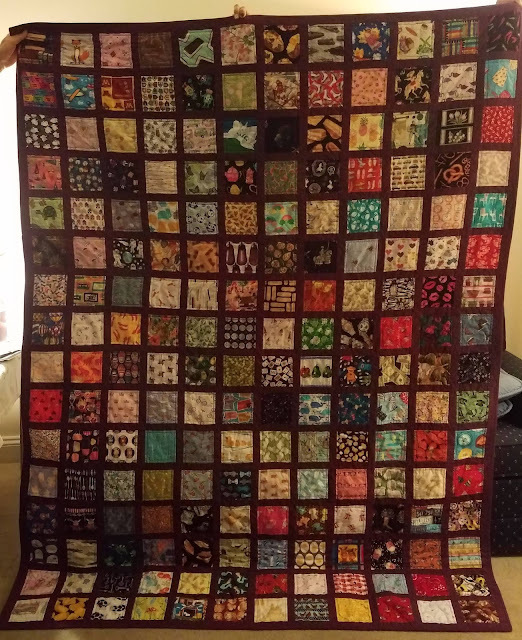 I later made a similar quilt, also a twin size, for my niece. My mom told me that what she really wants is an I Spy quilt. So I made her one! See, I Spy quilts are not just for kids! Like the other two, this is a twin size and has 192 I Spy squares. I avoided duplicates based on my own thinking. What I mean by that is, for example, a pirate ship and a sail boat are not the same thing. I know that this has sunflowers, lily of the valley, and dogwood blossoms. Those are all flowers, but they aren't the same. They also all happen to have meaning. I tried to pick as many squares as I could that have special meaning. A few are children's book characters. There are items that are associated with family vacations, favorite foods, favorite animals, school mascots, in jokes, etc. Of the mental list of things I wanted to include, the only things I didn't find are Coke (her favorite beverage for most of my life) and a tiger (her Chinese astrology sign). I love this picture because she clearly just saw something and is excited about it. You can kind of see the back in the picture above. I realize that I didn't get any pictures of the back. There are four fabrics. Three are cowboy/western themed that she bought, didn't use, then gave to me. 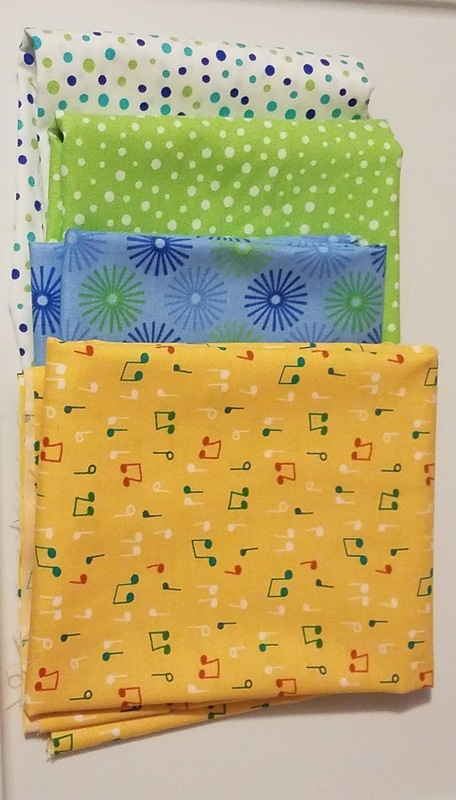 I've used them in I Spy quilts and swaps but in two cases, had a lot left. I used those for the majority of the back and used a book print (we are both librarians) to fill in what was still needed. When I asked what color background she wanted, she told me her favorite color is purple, which of course I knew. I wasn't sure what shade, though. She said she wanted purple like royalty. This is Kona Hibiscus. She seemed pleased with it. This was #2 on my list of Q4 goals for the globally-hosted Finish Along. It was also on my list of UFOs to finish to earn my PhD (Projects Half Done) with Quilting Gail. I'm so excited that I got to gift it in person and that she seems to absolutely love it. An I Spy for my bed, queen size, is next for me in terms of I Spy projects. I just love looking at them so much that now *I* want one! 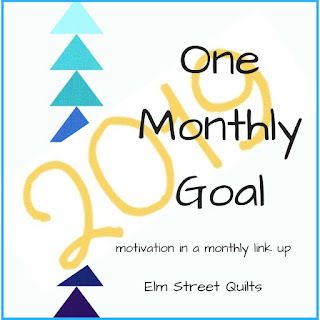 I really like the motivational monthly link-up hosted by Patty at Elm Street Quilts. I was a really regular participant in 2017 but was not at all consistent in 2018. I'm hoping for a better 2019 in that respect. I typically choose a project I want to complete for my One Monthly Goal, but I don't have anything that I think is likely to get finished this month. 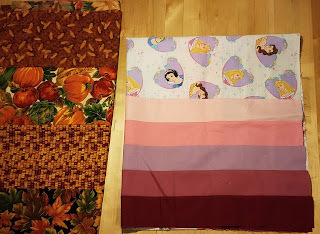 Since getting quilts layered for quilting tends to be where I get hung up, I am choosing layering 3 quilt tops with fleece backings as my OMG. One of the three tops still needs to be assembled. The pieces are all cut out. 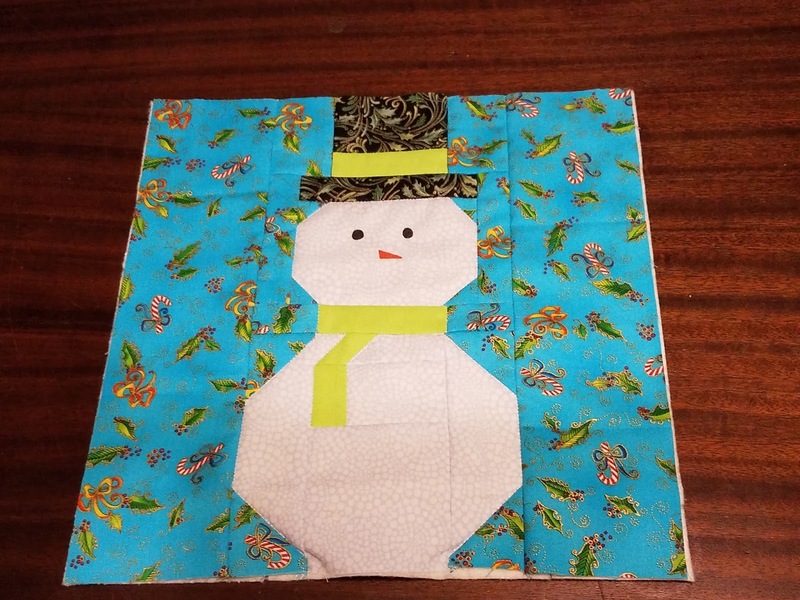 This quilt uses four fat quarters. I love the dancing horses! The other two tops are already pieced. One is fall themed and the other has Disney Princesses. 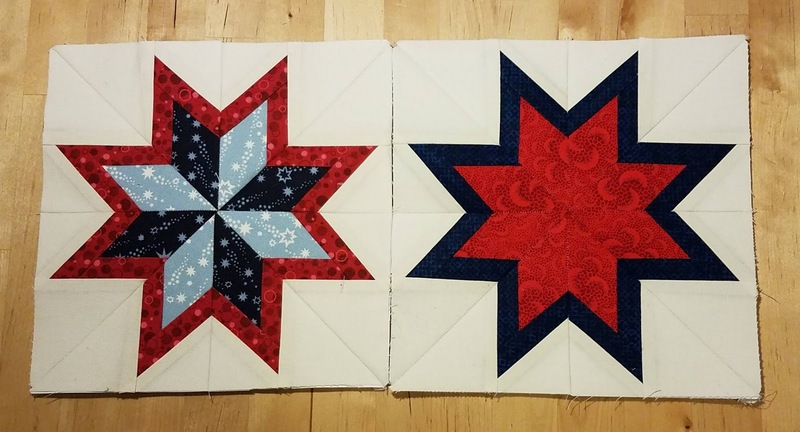 Both were pieced during my winter break. 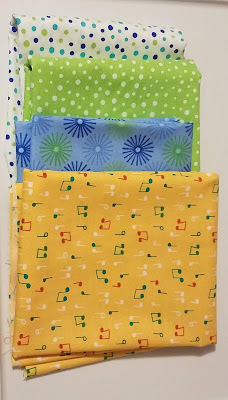 All three will be donations quilts for Project Linus.